What If Only Black People Could Get Superpowers? A young black person gets shot by police. This time, he gets up, discovering that he’s more powerful than he ever could have imagined. Created by Kwanza Osajyefo, Tim Smith 3, Jamal Igle, and Khary Randolph, BLACK—which took Kickstarter by storm earlier this year, and is now being published by Black Mask Studios—follows Kareem Jenkins, a young African-American who discovers that he has superpowers—in a world where only black people can get them. We’re excited to bring you this exclusive preview. 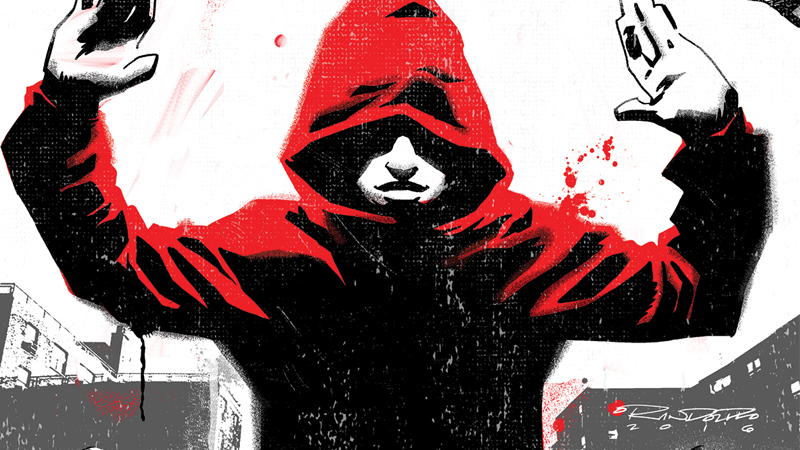 In a time when the African-American community’s fraught relationship with the police is making headlines across the world, BLACK is shaping up to be a superhero comic ripped right out of some of modern America’s biggest social issues. Here are the first five pages of the comic, making their debut here on io9. BLACK #1 hits shelves this September.